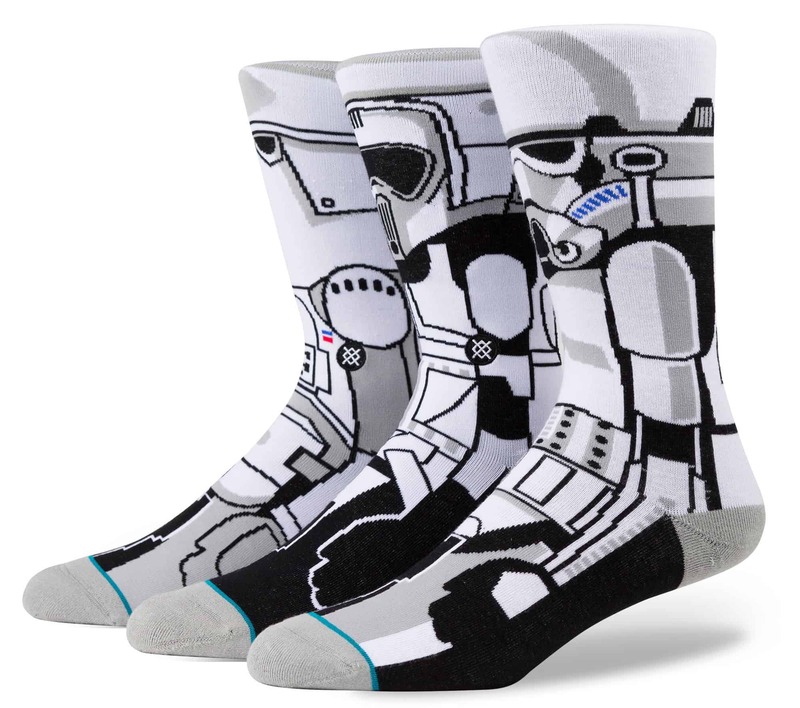 Stance Star Wars Socks are Any Nerd's Perfectly Subtle Accessory | Nerd Much? 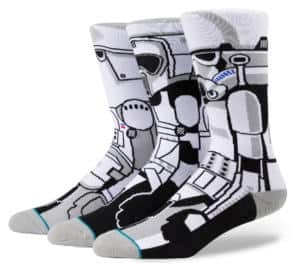 If you’re looking for some epically nerdy clothing that doesn’t shout your fandom from afar, then Stance’s line of Star Wars socks should perfectly fit the bill. The site features close to 50 unique designs, all of which are of course inspired by the Star Wars universe. 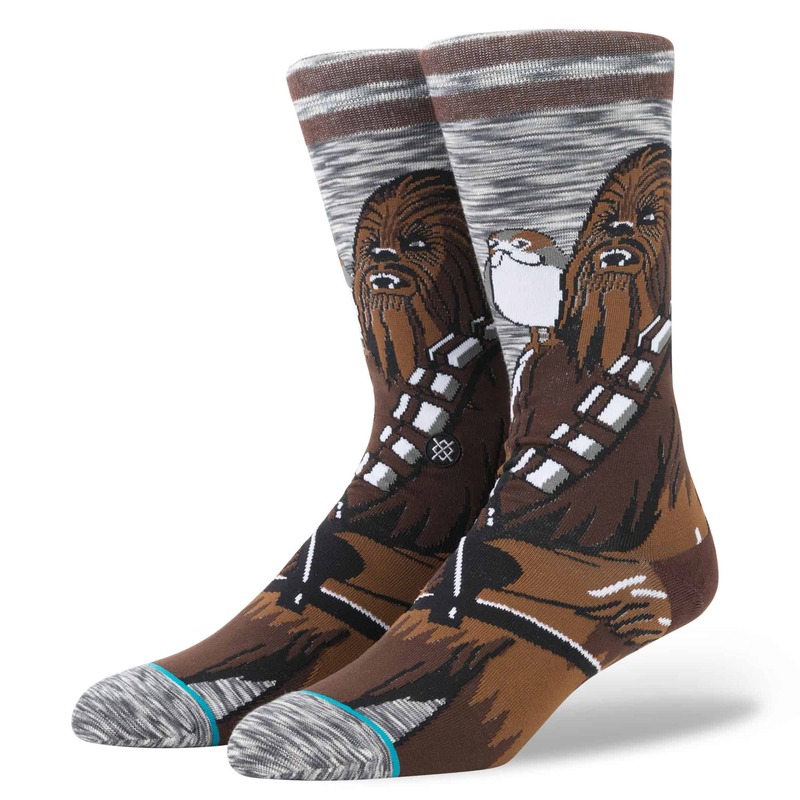 And all of them are equally awesome. 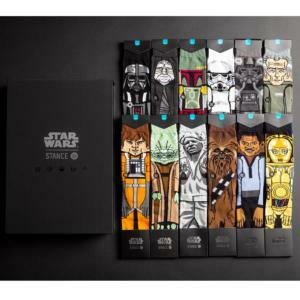 Stance’s Star Wars socks has some new additions to the group. There’s the Warped Pilot pair which displays a Rogue Squadron fighter on one side and a Tie Fighter pilot on the other. There’s also Warped R2D2 which sports R2D2, C-3PO and Darth Vader in a 360 degree design. 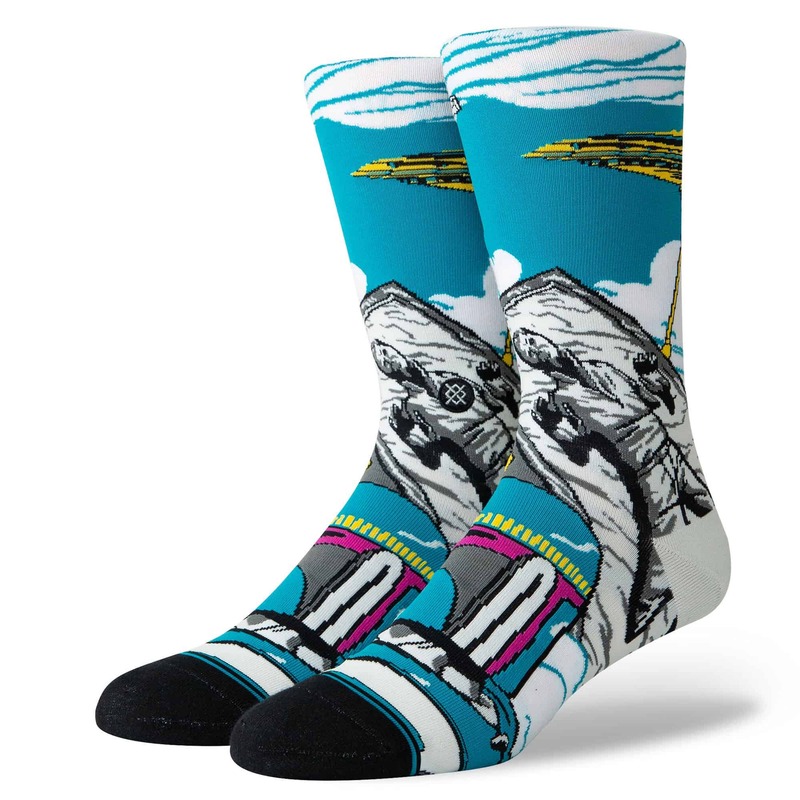 The Warped Boba is another 360 degree design showing Boba Fett alongside a Carbonite frozen Han Solo with Cloud City looming in the background. 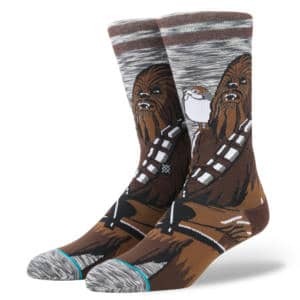 And the Warped Chewbacca design goes all the way around your lower extremity too with a design depicting Chewbacca and a couple of Stormtroopers. The new single pair designs are running for $18. 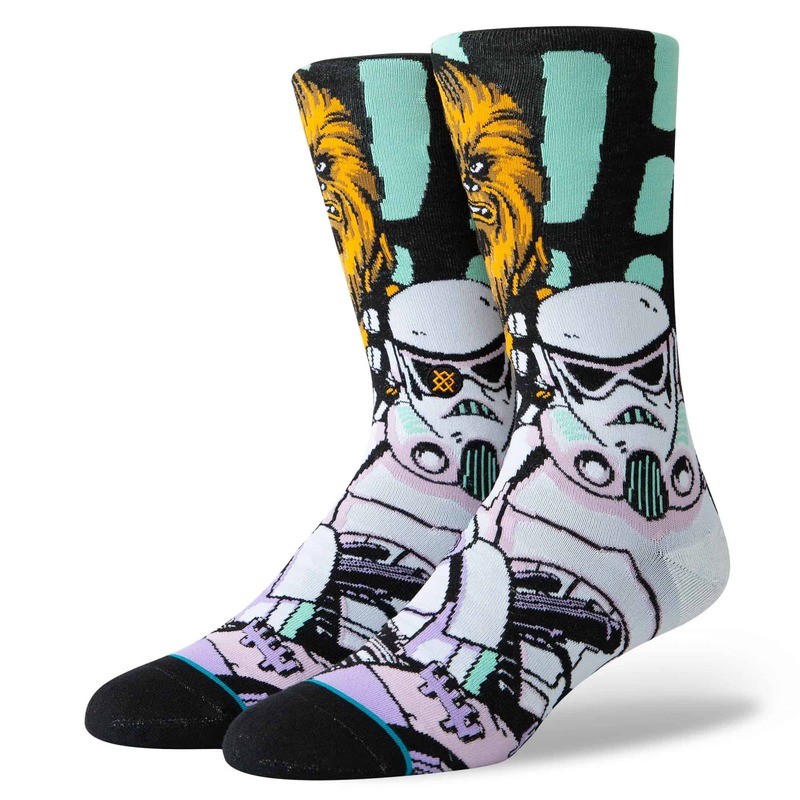 But there are plenty of other Star Wars sock designs at Stance too, many of which are available in $50 3 packs. 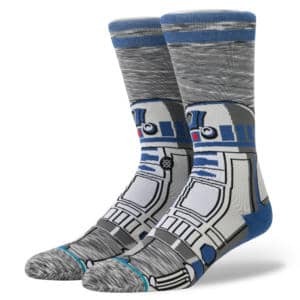 There’s a Droid Pack which hosts a couple of rolling droids in addition to BB-8. 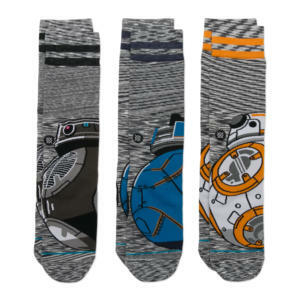 The A New Hope 3 pack features Luke Skywalker in his orange pilot outfit on one pair, with the other 2 hosting R2D2 and a Tie Fighter pilot. 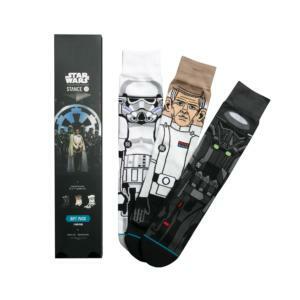 The Rogue One 3 pack features a Death Trooper, Stormtrooper and Krennic. 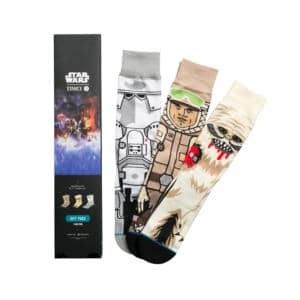 While The Empire Strikes Back 3 pack has designs based on Hoth’s Luke Skywalker, a Wampa and a Snow Trooper. There are larger Collector Sets available too. The Classic 6 Pack is $120 and pairs featuring Darth Vader, a Storm Trooper, Boba Fett, Chewbacca, C-3P0 and R2D2. 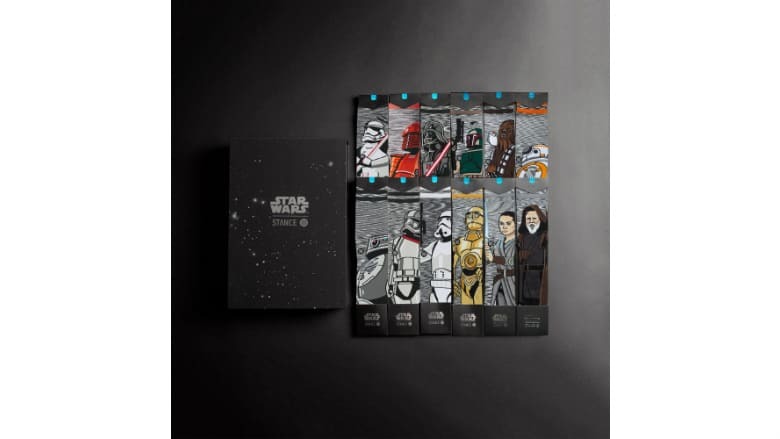 The Force 2 set is 12 pairs for $280. 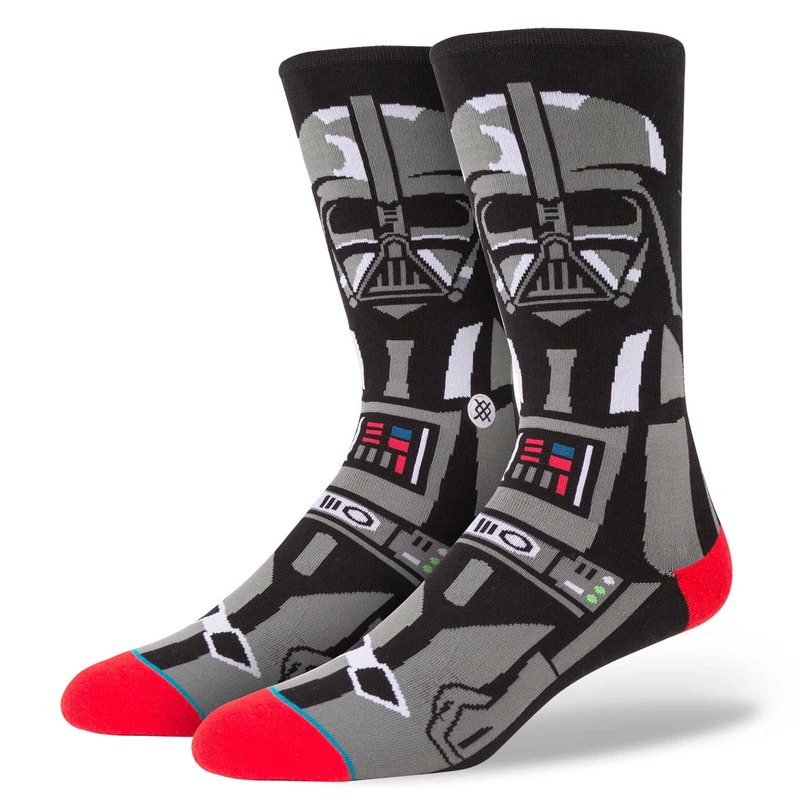 In it comes more cartoonish looks at Vader, The Emperor, Boba Fett, a Storm Trooper, a Tie Fighter, Grand Moff Tarkin, pilot Luke, Yoda, Carbonite Han Solo, Chewbacca, Lando Calrissian and C-3PO. Finally, The Force 3 set is also $280 for 12 pairs. 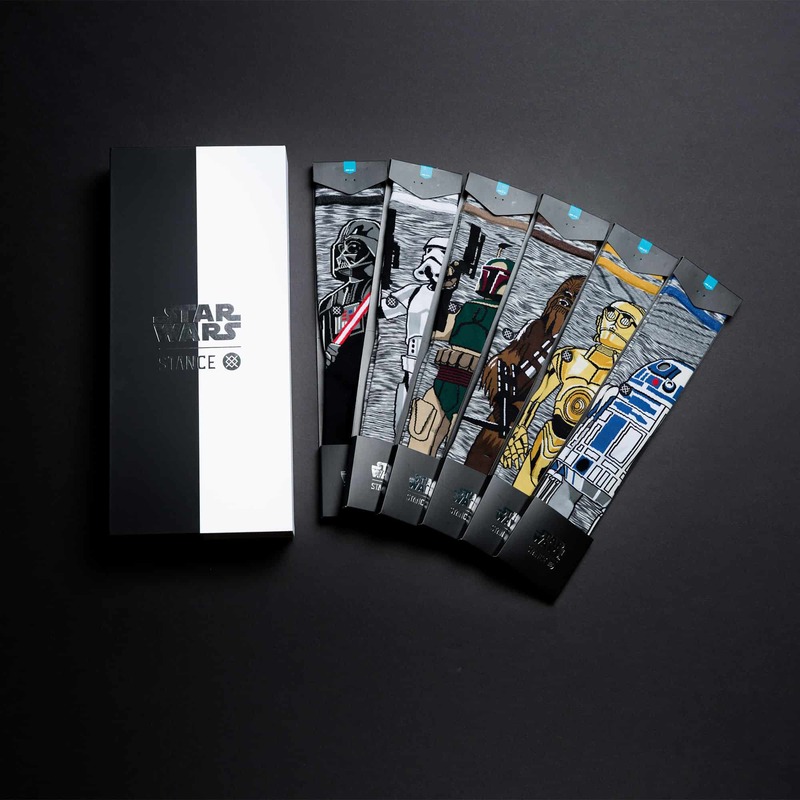 These include more realistic depictions of a Storm Trooper, a Praetorian Guard, Darth Vader, Boba Fett, Chewbacca, BB-8, a Protocol Droid, Captain Phasma, another Trooper, C-3P0, Rey and the older Luke Skywalker from The Last Jedi. 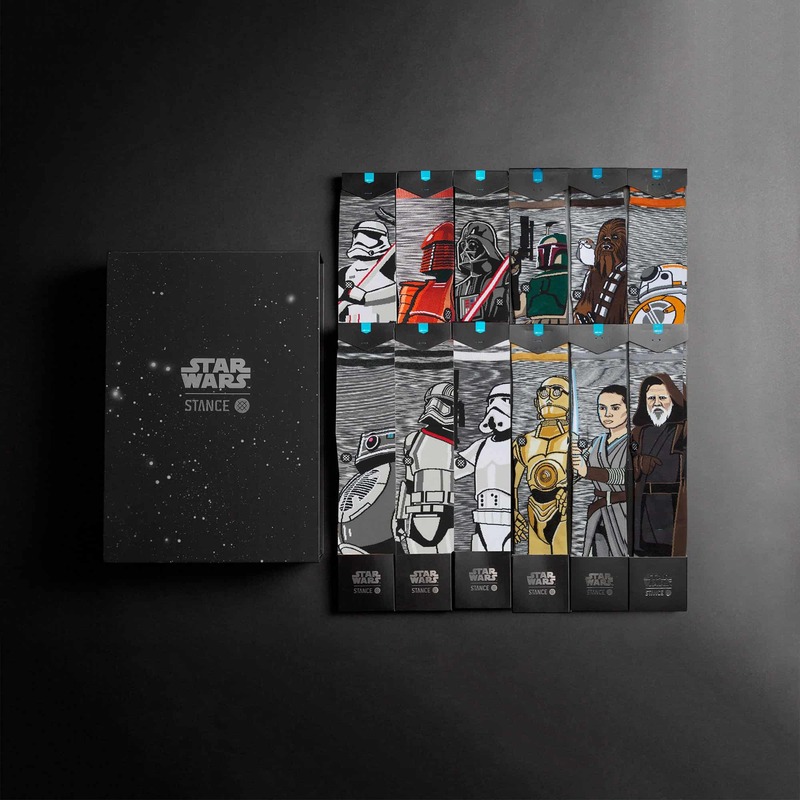 Both of the 12 pack Collector Sets come with a gorgeous box to help justify the heavy price. All of Stance’s Star Wars socks are Crew length in height, and feature a thin to medium thickness Stance classifies as a lightweight and breathable close fit. 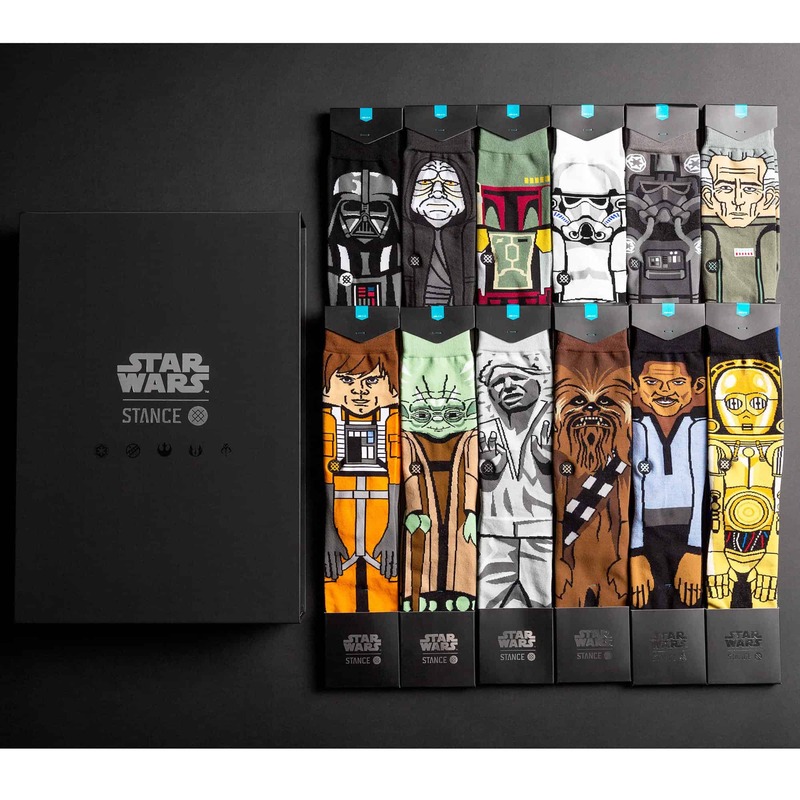 Stance’s Star Wars socks are all made of cotton with a tight 200 needle count stitch. 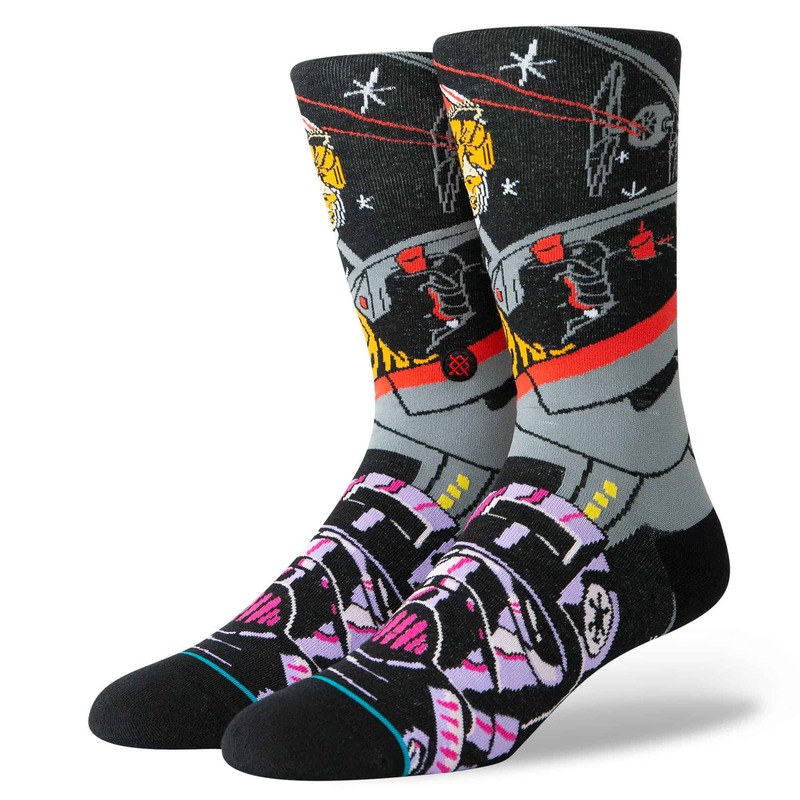 There’s a Terry Loop in the forefoot, heel and toe for comfort, and a seamless Toe Closure. 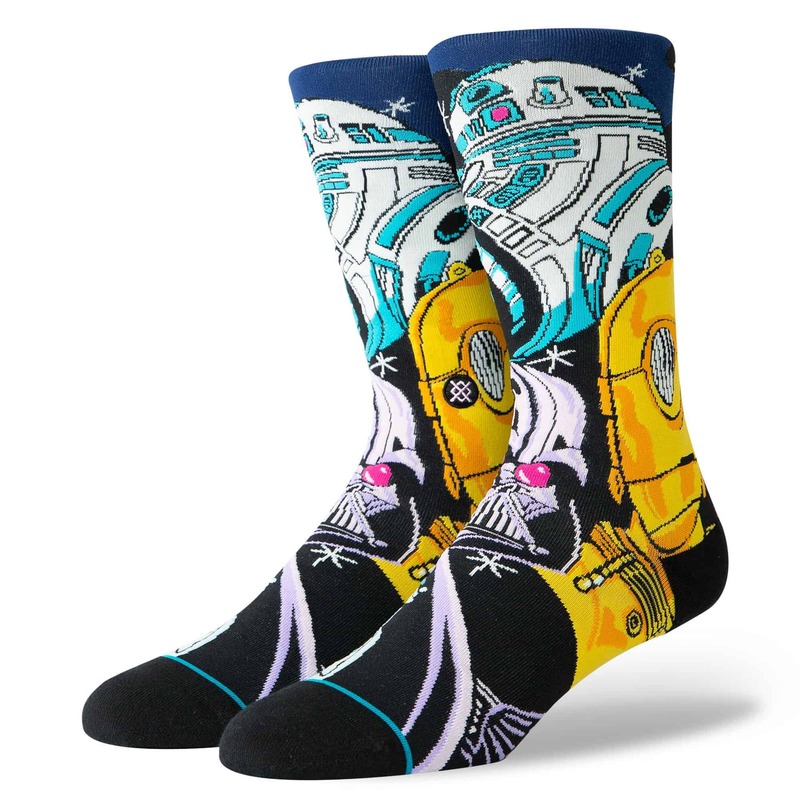 It truly is an impressive line. 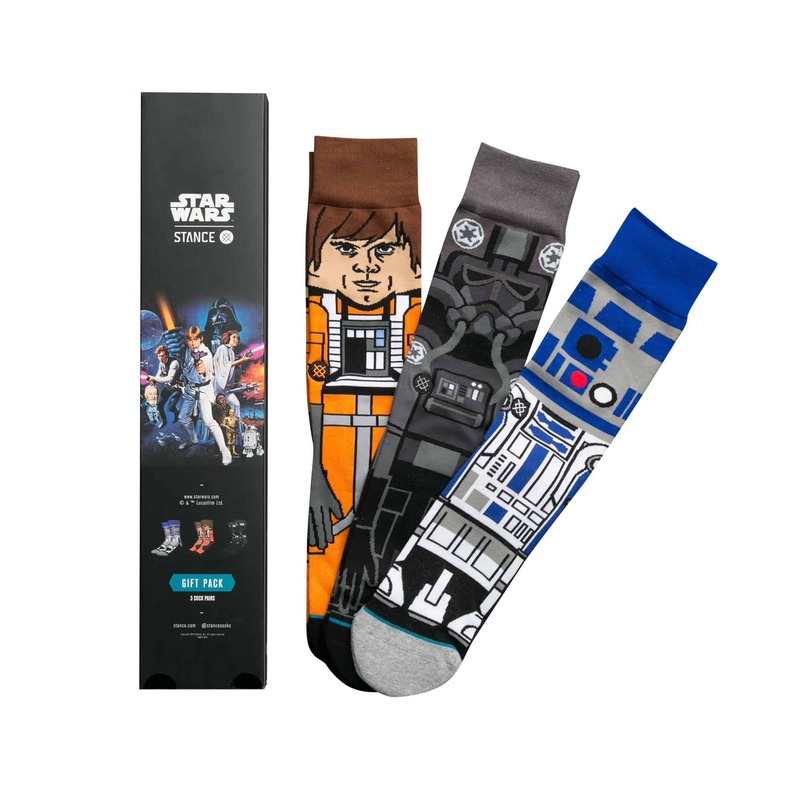 You can check them all out right here.